Given the ways in which spirituality functions in the work of such Black women writers and filmmakers as Toni Morrison, Ntozake Shange, Maya Angelou, Julie Dash, and Euzhan Palcy, Judylyn Ryan proposes in this challenging new study that what these women embrace in their narrative construction and characterization is the role and responsibility of the priestess, bearing and distributing "life-force" to sustain the community of people who read and view their work. Central to these women’s vision of transformation is what Ryan calls a paradigm of growth and an ethos of interconnectedness, which provide interpretive models for examining and teaching a broad range of artistic, cultural, and social texts. The focus on theology provides a new way of viewing the connections among New World African diaspora religious traditions, challenging the widespread and reductive assumption that Afro-Christianity shares no philosophical commonalities with Santería, Candomblé, Voodun, and other traditions that are not christological. 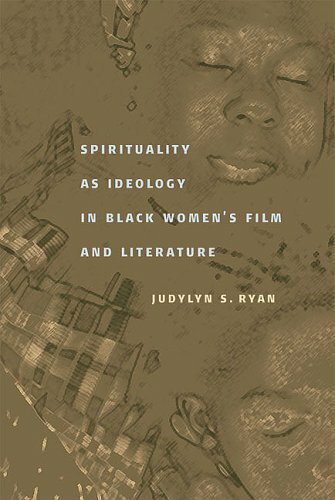 In addition to exploring spirituality as epistemology, the book also provides an intertextual reading of Black women’s literary and film texts that examines the ways in which these works expose, mediate, and interpret the cultural, social, and historical conditions surrounding their production. While most discussions of lack women’s engagement with, and contribution to, the discursive space of the culture assume an oppositional or reactive stance, Ryan argues that the disposition reflected in the texts she examines tends to be relational and proactive, conferring an autonomy that the gravitational pull between opposites lacks. This intertextual reading constitutes a multimedia auteur criticism of a collective artistic vision. Judylyn S. Ryan is Assistant Professor of English at Ohio Wesleyan University. Her work has appeared in numerous periodicals and edited volumes.